With the count down to Christmas underway, there’s plenty on the to-do list. And while you may have more to do than time, come visit us each week with new featured Christmas products and possibly save a little time and get some shopping for your loved ones, or yourself, checked off your holiday list! Yay! 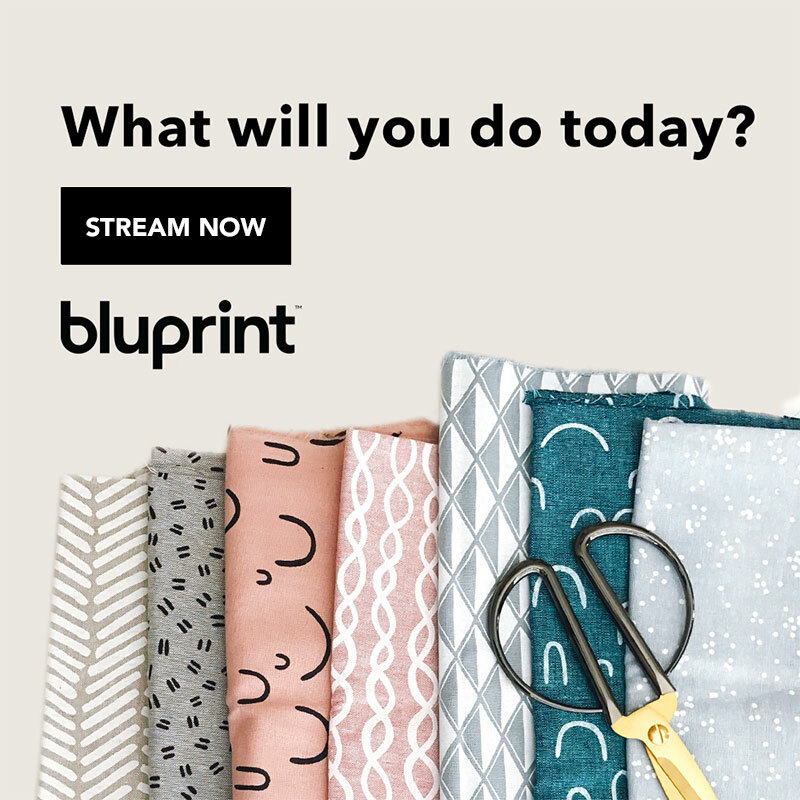 It’s that time again, a Mad Mad Makers Blog Hop! Have you visited any of the other blog on the hop yet? There are links down at the bottom of this post so you can do that. Now that it’s finally getting cold where I live, I’m trying to get into the Winter spirit. On Tuesday I released a fun bonnet (the Willow), which will be great for the Winter, and on Monday I released the Josephine Stockings (on sale for $1.99 right now). So, I’m trying! But until recently it wasn’t really cold so I was still in warmer weather mode, but today I bring you snowflakes! This pattern is a bit like my Snowflakes Necklace pattern, I updated it, thought, to give the flakes bigger points and a larger body. 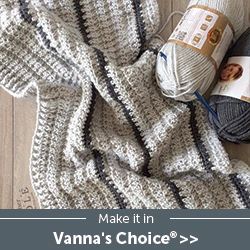 While I was working this pattern up I did notice how cute it would be as a table runner (just connecting the ch 4 spaces on row 5 and doing row 6 after you’ve made the design the size you want). 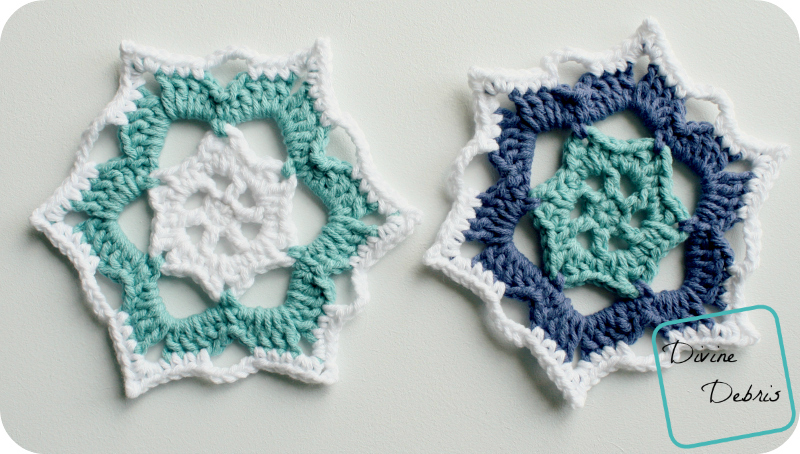 Either way, I hope you enjoy a very quick and cute snowflake pattern by me! Happy Happy! 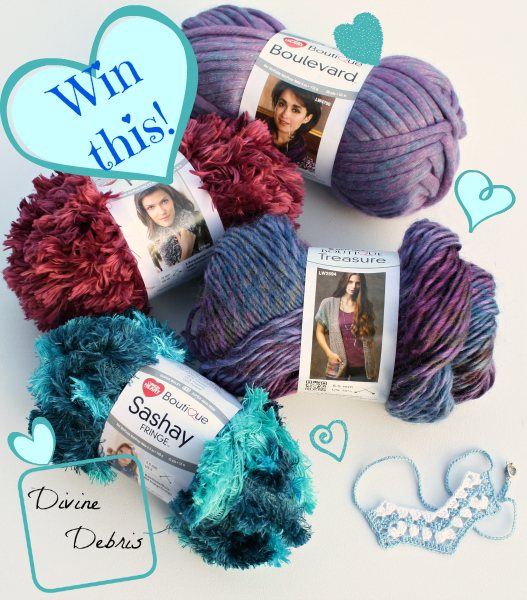 Don’t forget to enter my Red Heart Yarn Giveaway, the giveaway ends December 1st! Ch 1 on some rows does not count as a stitch. To make a runner: don’t do row 6 and secure the motifs together using the ch 4 spaces from row 5. The color changes are listed below, you don’t have to change colors if you don’t want to. Color A is dark blue, color B is light blue, and color C is white in the photo below. 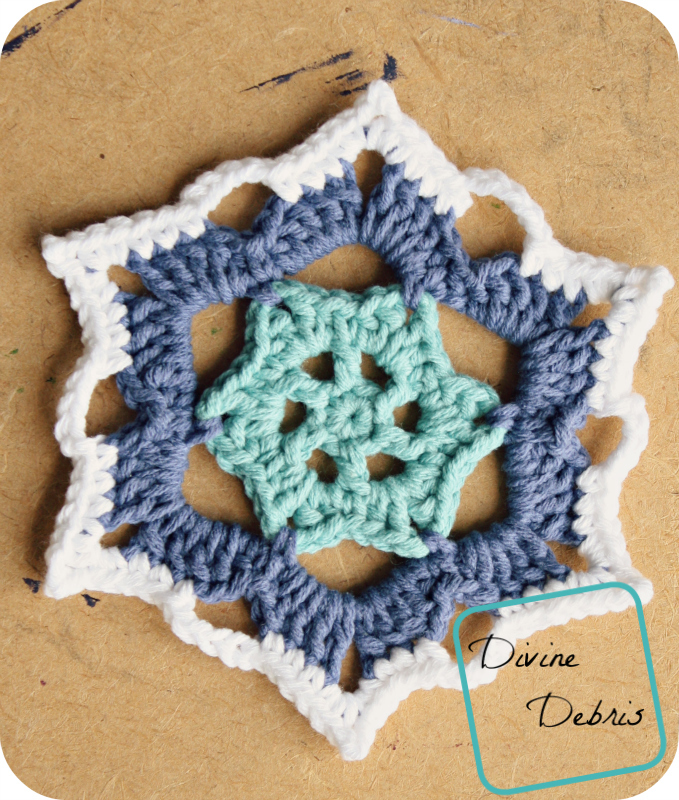 Create these with crochet thread and a 2.25 mm crochet hook and then you’ve got adorable snowflake earrings! Tada! 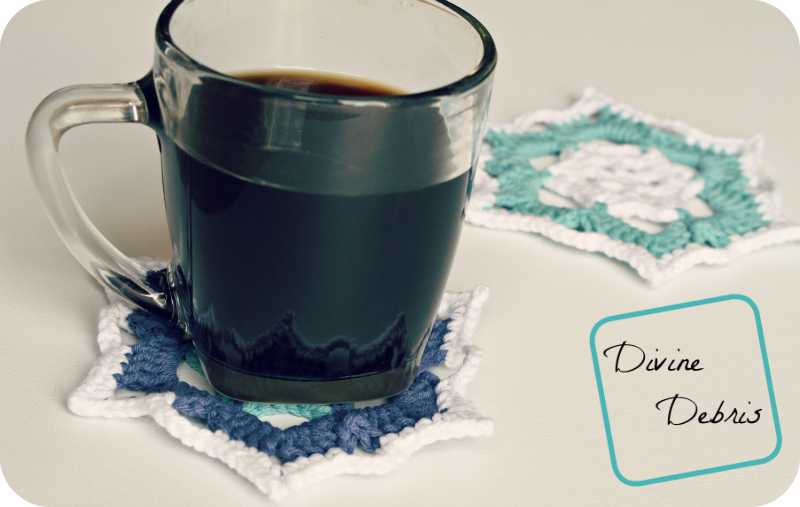 I hope you like this pattern and use it for lots of cute appliques or a coaster pack or even a table runner and I greatly hope you share photos with me on Facebook, IG (with the tag #DivineDebris) or on Ravelry! 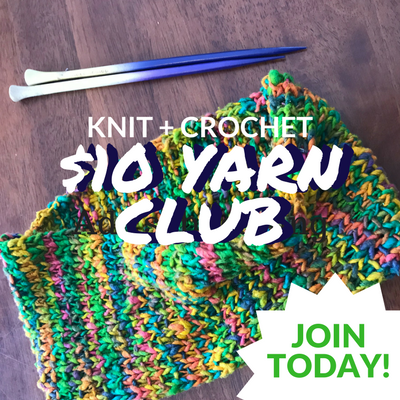 Use the code Blog Hop to get 60% off your total purchase in my Ravelry shop until the end of December! 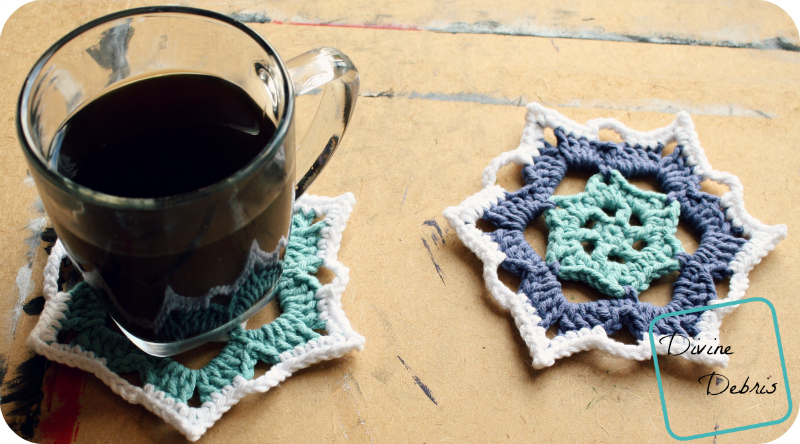 The snowflake coaster is lovely. I was wondering if you could tell me where the repeat asterisks should be in Row 5 – it says to repeat from * to *, but there are no other asterisks in step 5. Thanks, and thanks for sharing the pattern.